Most of our homes are heated by electric boilers, night storage heaters, gas or solid fuel. Regardless of which you have, everyone can benefit from lower fuel bills and saving money can be easier than you think. We have a range of Home energy advice leaflets in our ‘Library‘ which give really useful hints and tips on saving energy, understanding your bills and using your heating to best effect. You should also make sure you’re on the right tariff for your needs, and that your supplier is giving you the best deal possible. It’s easy to compare if you use online comparison websites and you could save hundreds of pounds on your fuel bills. If you have an open fire or solid fuel appliance it is vital you only burn the correct materials. 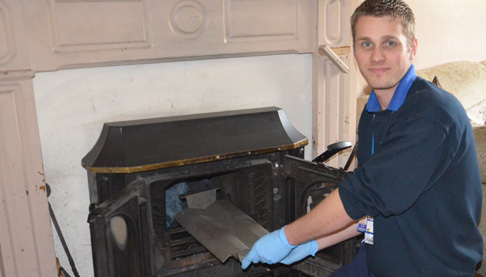 Burning household rubbish and/or unseasoned wood can be dangerous and will cause irreparable damage to the flue. It is very obvious if a flue has been damaged by using unsuitable fuel and, if it’s beyond repair and needs to be replaced, you will be responsible for the cost. Even house coal is full of soot which sticks to the flue when it burns and that’s why we recommend only burning seasoned wood and smokeless coal. Although more expensive by weight, smokeless coal burns more slowly and gives off more heat than house coal so, when used sensibly, it need not cost you any more. We have a variety of different night storage heaters fitted in our homes but, whatever type you have, you should be on an Economy 7 electricity tariff. You will find more information in your Tenants’ handbook, as well as our Home energy advice – Economy 7 and Home energy advice – night storage heater leaflets, all of which can be found in the ‘Library’. A small number of homes have electric boilers, providing heat only. The majority will have electric showers, and hot water will be provided from either an instantaneous water heater or a hot water cylinder. As you will mostly use electricity during the day, a single rate electric tariff is recommended. It is our legal duty to service gas appliances every year and you are obliged to allow access for the service. There’s more information about our servicing programme on our ‘Gas servicing‘ page and there’s also a page dedicated to essential safety advice, including what to do if you suspect a gas or carbon monoxide leak.